Computational Fluid Dynamics | TotalSim Ltd.
TotalSim live and breath Computational Fluid Dynamics. 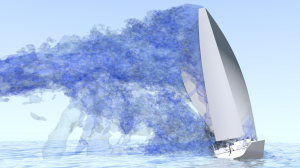 Whatever your Computational Fluid Dynamics (CFD) needs TotalSim can help. We use cutting edge CFD technology and apply it to real world problems. Whether you are wanting to simulate thermal, hydrodynamic or aerodynamic problems; TotalSim have the experience and capabilities to meet your needs. Our CFD consultancy team can help with analysis of just about all fluid problems. From marine to automotive applications, TotalSim can simulate it. Our support team are there to help you improve your own CFD capabilities or take Computational Fluid Dynamics inhouse for the first time. Our support customers include the likes of Aston Martin and the Wolfson Unit. From single person consultancies to large multinationals we have a support package for you. Our hardware team can help you with all you hardware needs. We have a tried and tested methodology that is used throughout our own consultancy business. Whether you are after your first cluster or wanting to reduce your existing operating costs, TotalSim have a hardware package that can help you. Our Experienced CFD team can help you with all your CFD Training needs. We provide bespoke one-to-one training based around your own test cases to make the training relevant and bespoke. TotalSim are vastly experienced in the field of CFD. Having applied Computational Fluid Dynamics to applications in nearly all fields worldwide. Our experienced team can help; whether you are looking to use CFD in the Pharmaceutical or Automotive fields, TotalSim have the experience to help. CFD can help you reduce product development costs. Removing the need for physical testing and providing additional insight, that only CFD can provide. To speak to one our experienced team, please use the contact form or the details below. We look forward to hearing from you.